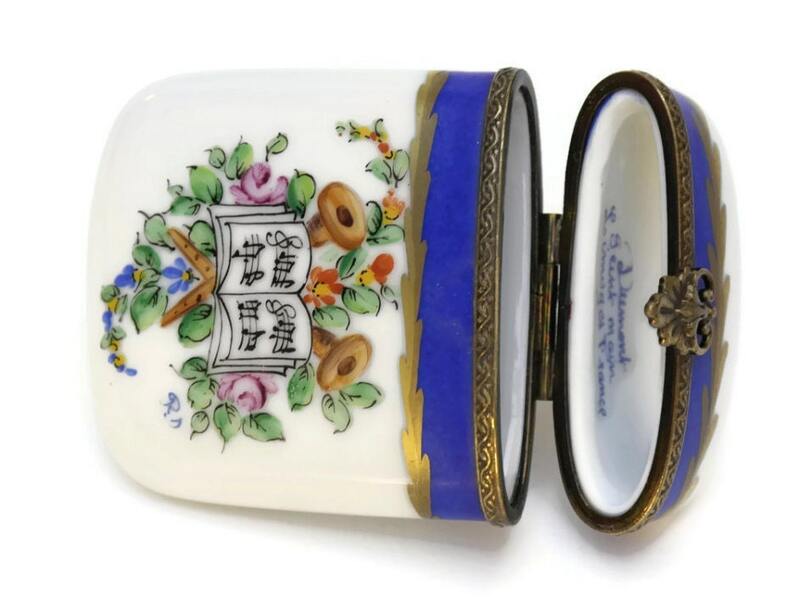 A beautiful vintage Limoges porcelain pill box created in a slender and elegant form. 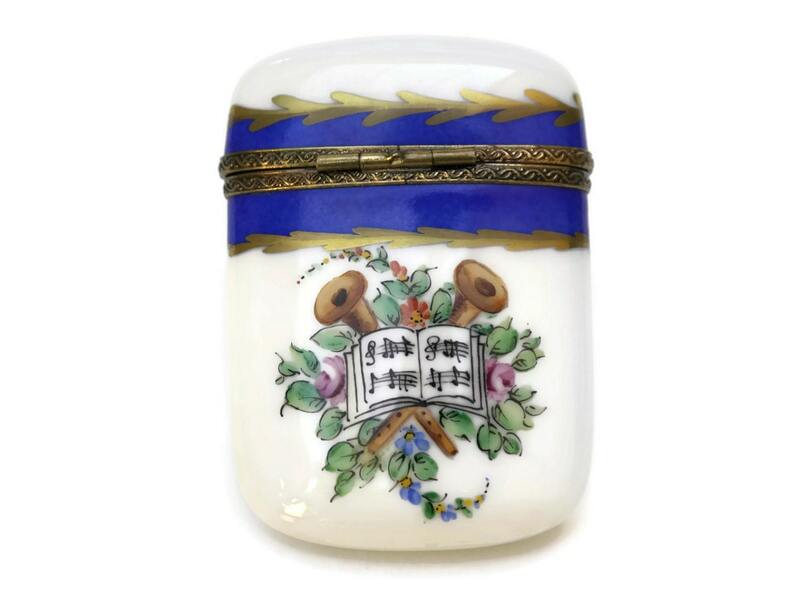 The French trinket pill box has been hand painted with floral motifs and a musical score in exceptional detail and features painted gold accents. 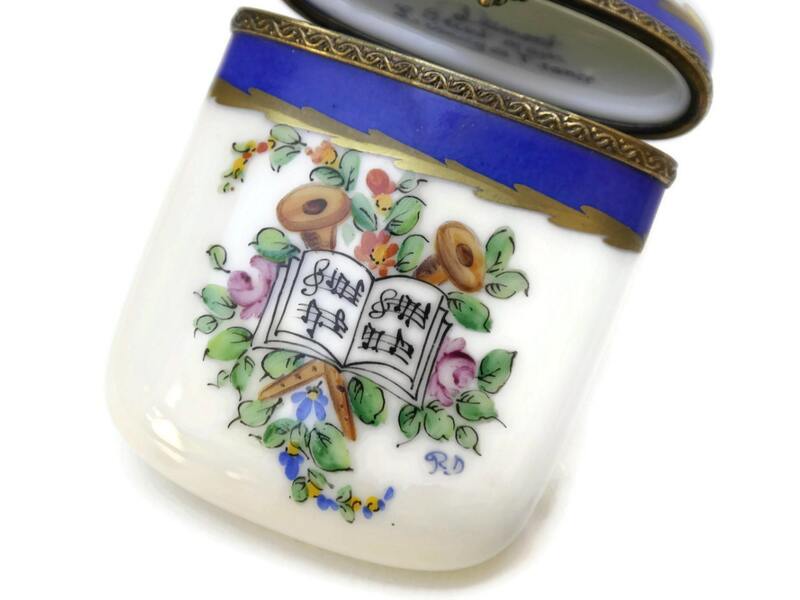 The hinged pill case has an ornate metal clasp and frame and opens to reveal the Limoges mark on the interior of the lid. 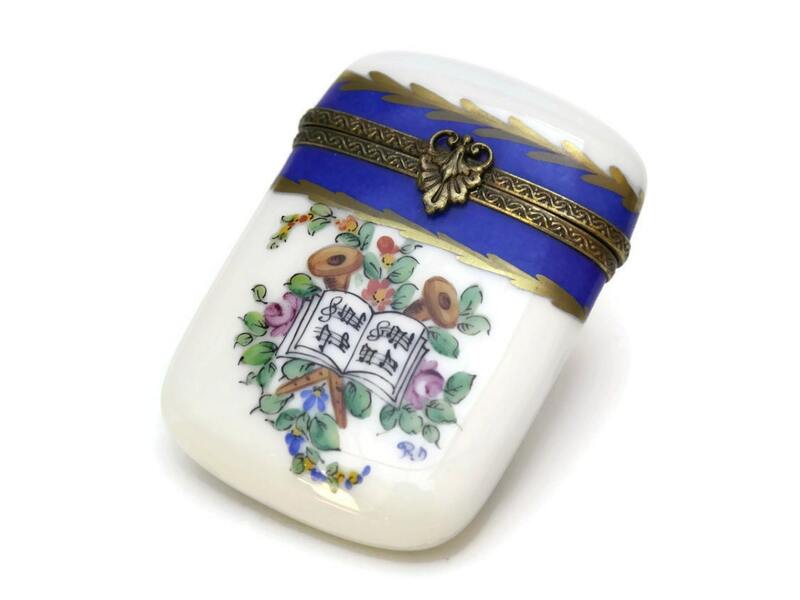 The stash holder would make a great gift for her. 2" Long x 3" Tall (5 cm x 7,5 cm). 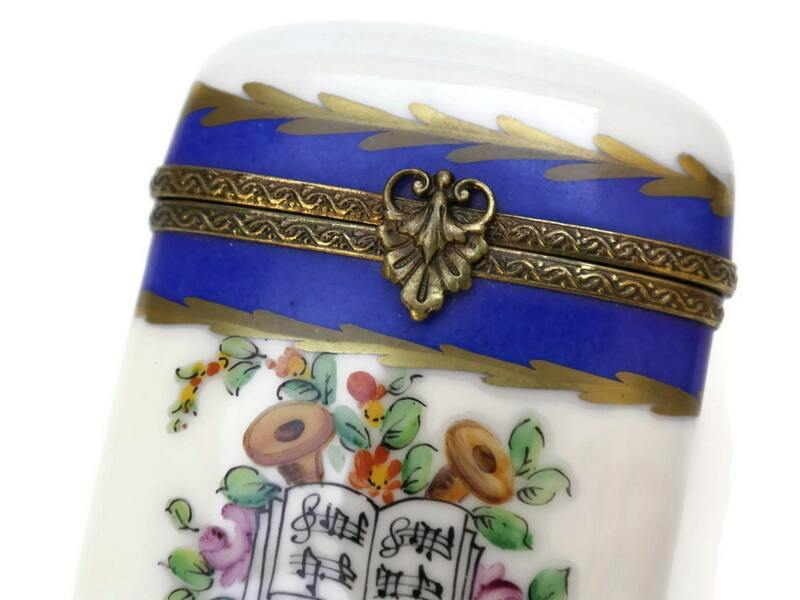 The pill holder is in excellent condition and the clasp closes securely. There are no chips or cracks.